Home > Featured > Starbucks Macchiato for Two, Which Side Are You On? Starbucks Macchiato for Two, Which Side Are You On? The Starbucks Macchiato duo are back! Right after the long celebrations over Starbucks Christmas festivities, Starbucks Philippines is bringing back the Caramel & Hazelnut Macchiato starting today, February 24, in all its stores. 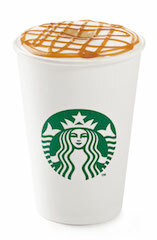 For the unfamiliar, the Starbucks Caramel Macchiato combines freshly steamed milk with a topping of velvety-rich foam, an intense hit of their signature espresso and finished with a buttery caramel drizzle. 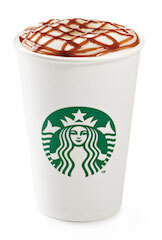 On the other cup, the Starbucks Hazelnut Macchiato features steamed milk with the signature, rich espresso shot and a toasty hazelnut flavour. And finally, a drizzle of hazelnut flavoured sauce to seal the deal. Both macchiato are offered hot or iced for P135 (short), P145 (tall), P160 (grande), & P175 (venti). But wait there’s more! 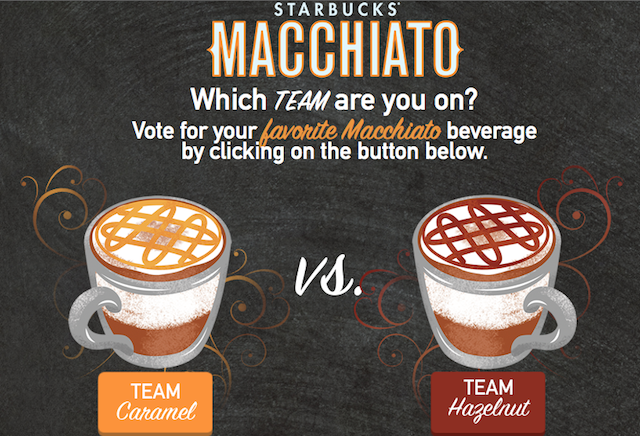 From today to March 5, 2015, Starbucks Philippines will run an online poll through starbuckspromotions.ph to ask our Facebook fans which of the two (2) featured Macchiato beverages is their favorite. 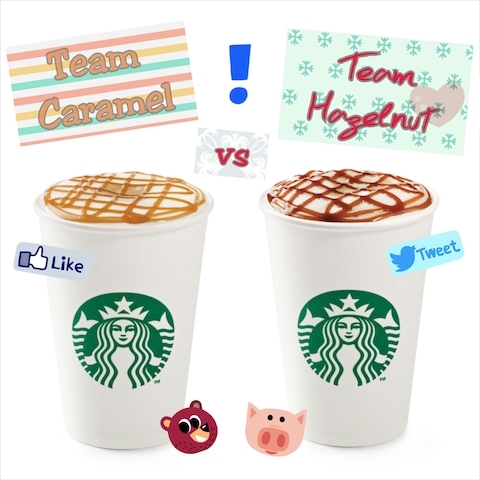 Starbucks Philippines Facebook fans can vote on what team they’re on: Team Caramel or Team Hazelnut. The winning Macchiato beverage will be announced on March 6, 2015 via Starbucks Philippines Facebook Page and thru the Daily Offerings Board in Starbucks stores. The winning Macchiato beverage will be celebrated with a special Macchiato Buy One, Get One event, Macchiato Monday, on March 9, 2015 in all Starbucks stores nationwide. The Macchiato Buy One, Get One event is valid only for the winning Macchiato beverage (hot and iced, of any size). Beverage star will be given for the purchased beverage when paid using the Starbucks Card. Promotion will run in all Starbucks stores nationwide. 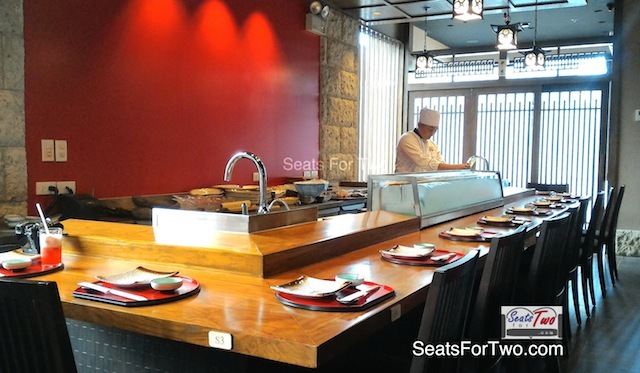 Keep yourself updated by subscribing to this blog via your email here. Follow us on Facebook, Twitter, and Instagram as well. Tokyo Bubble Tea YVT Contest Winner!